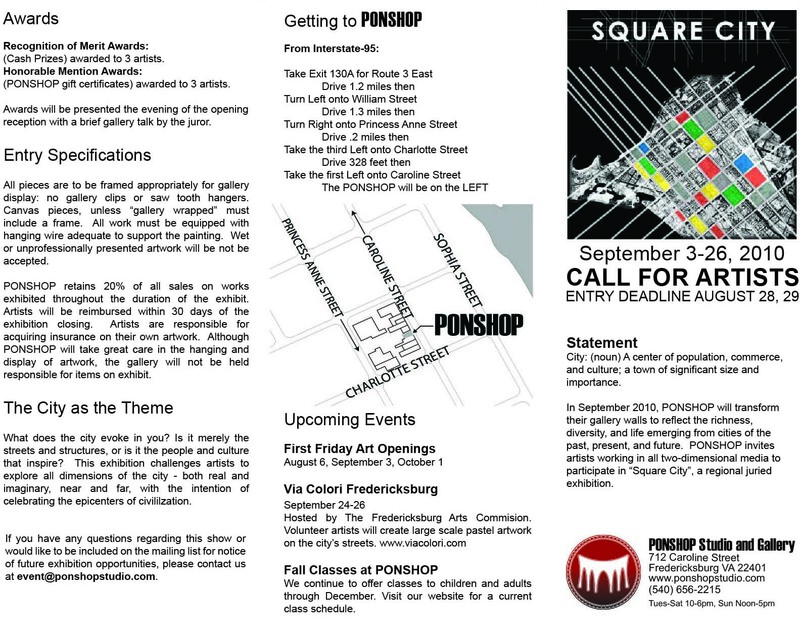 In September 2010, PONSHOP will transform their gallery walls to reflect the richness, diversity, and life emerging from cities of the past, present, and future. 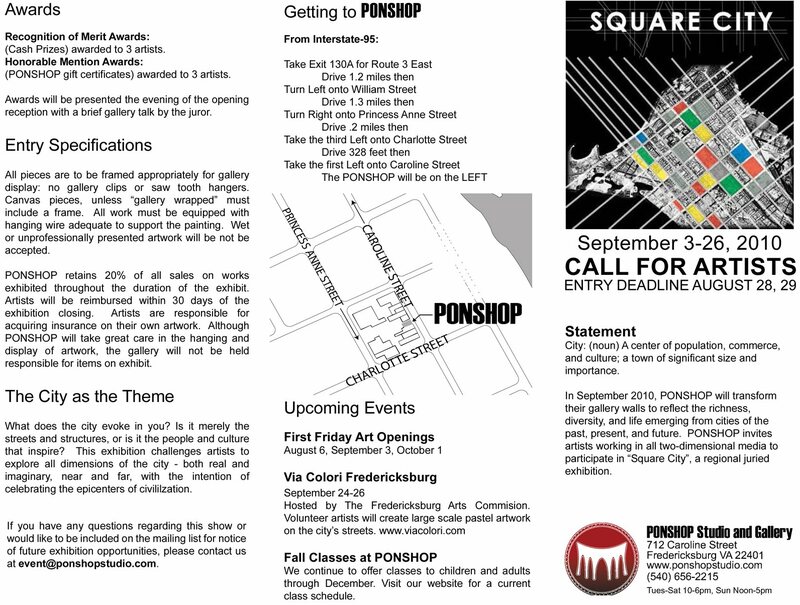 PONSHOP invites artists working in all two-dimensional media to participate in “Square City”, a regional juried exhibition. 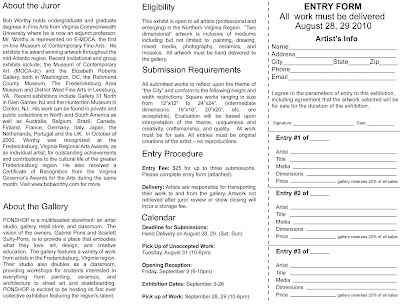 Below are the two page of the entry form for artists interested in participating. 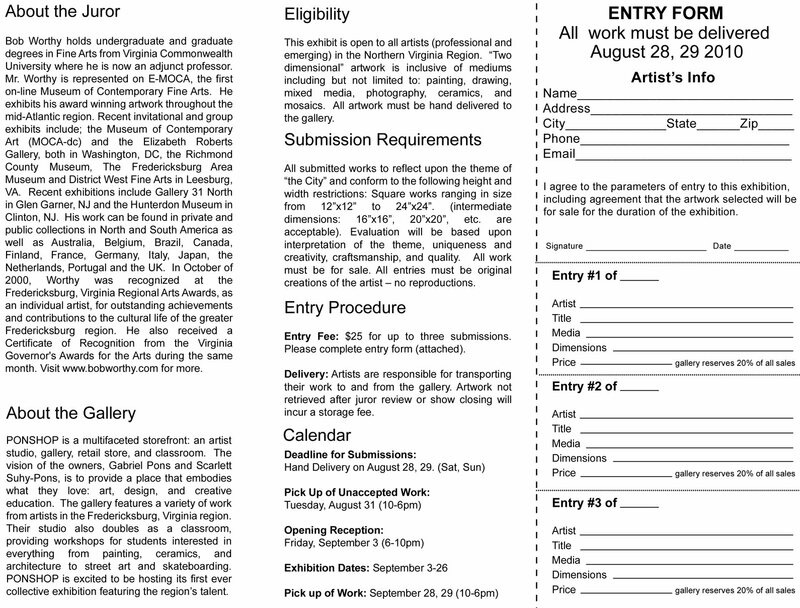 This exhibit is open to all artists (professional and emerging) in the Northern Virginia Region. 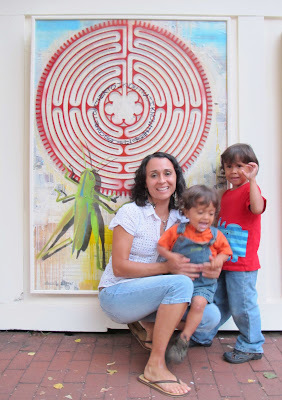 “Two dimensional” artwork is inclusive of mediums including but not limited to: painting, drawing, mixed media, photography, ceramics, and mosaics. 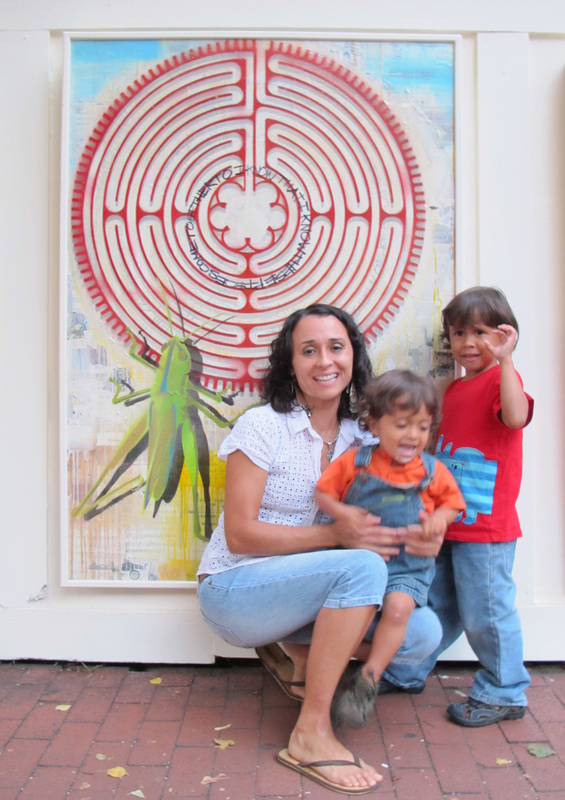 All artwork must be hand delivered to the gallery. City: (noun) A center of population, commerce, and culture; a town of significant size and importance. 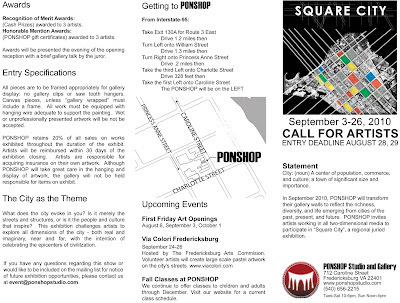 What does the city evoke in you? Is it merely the streets and structures, or is it the people and culture that inspire? This exhibition challenges artists to explore all dimensions of the city - both real and imaginary, near and far, with the intention of celebrating the epicenters of civililzation. 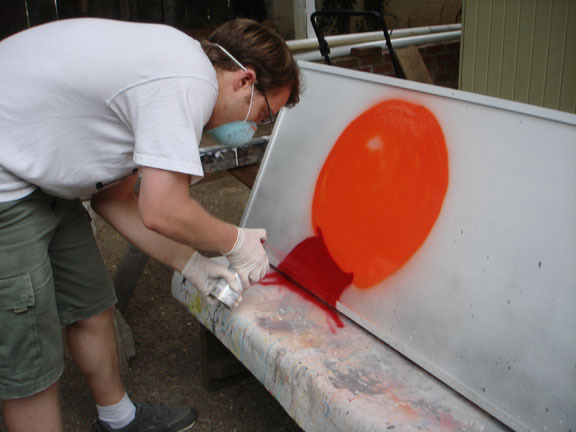 July's heat ushered in a new crop of students for the "Intro To Street Art" workshop. These students worked on a 24"x24" panel using spray paint and stencils. Below are some pictures taken throughout the three 1.5 hour sessions. Students had an opportunity to experiment with spray paint on scrap pieces of wood before committing to their panels. 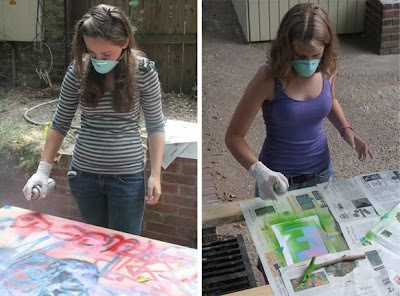 Perri (right) made a set of letter stencils to achieve a multi-colored design. Below are their final pieces - good work kids! David (above) and Nico came in for a three-day workshop in Street Art and Skateboard design respectively. Below are the pics of their work. Both came with an abundance of ideas and enthusiasm and they gave each other tips and encouragement along the way. Good work guys! 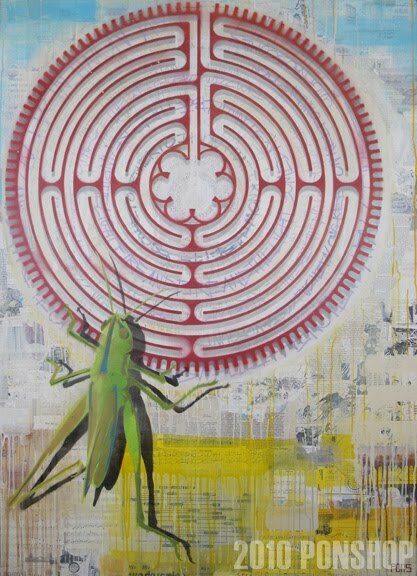 David brought the funk by doing a spray paint/wheat paste piece. Nico's deck design (below) was inspired by mythology. He used three stencils to achieve his graphic. 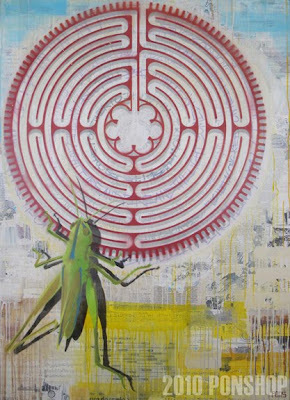 The painting was done on an old wooden countertop that was approximately four feet wide. Good Job! 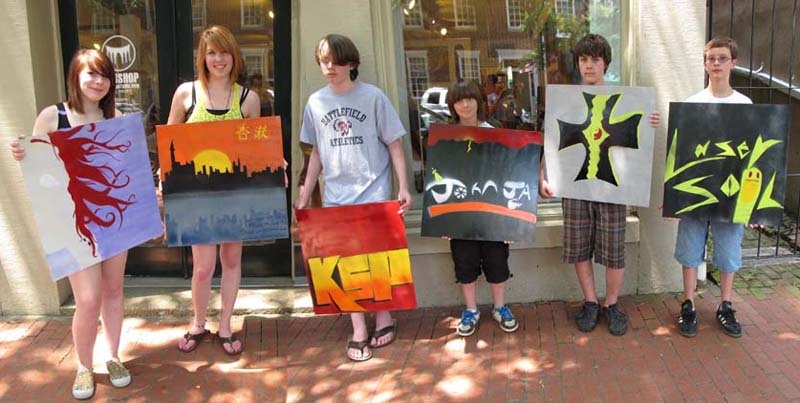 I was really proud of my "Intro to Street Art" students in June. They worked hard to achieve their designs.